It’s been quite a good reading week for me – I got through several books, including three “page turners”! I used to think page turners were, by their very nature, usually thrillers – it’s almost implicit in the name (but really only applies to well-written thrillers) – but for me they can actually be any genre, as my page turner week proves. And for me, a page turner doesn’t mean a book that flies along at a frenzied pace, with the author throwing one plot point after another at you without any time in between to rest (or, ahem, for character development). I find such books utterly exhausting and rarely finish them. So how did my page turner week go? Yes, I finally read a YA dystopian! And I have now given up my bias against dystopian novels. It occurred to me as I was reading Divergent that a dystopian novel is really just a fantasy set on a devastated Earth. I love both fantasies and urban fantasies, and now I can add dystopian novels to the list. This opens up a whole new world to me, so to speak. Divergent was a definite page turner. I figured out early on that the place was heading towards war, but reading about Tris’ journey as her world progressed to that war was just so much fun. So many exciting things happened, but all very well-paced. And some nice twists at the end. I’m now looking forward to reading the rest of the series. So after I finished up Divergent, I had to decide what to read next. I’d recently been contacted by a publicist who sent me an ebook copy of D.J. Donaldson’s Louisiana Fever. 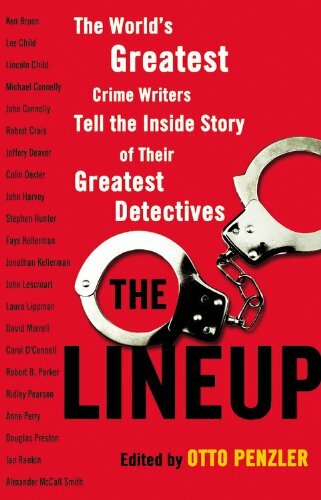 The book, which features medical examiner Andy Broussard and psychologist Kit Franklyn, is the fifth in the series, but I had no trouble getting up to speed with things despite never having read the first four novels. I think the main reason I enjoyed this one so much was because it involves a virus. Plots revolving around viruses – either biological or computer – are among my favourites. Throw in a medical examiner and it was more or less the perfect concoction for me. Louisiana Fever was originally published in 1997 and I gather it’s just been released in ebook format this year, but I didn’t find the book to be dated at all. Part mystery, part thriller, Louisiana Fever was a fun read and well-paced – the events were not so fast-paced you were left too exhausted to turn the page. The happy endings – especially in Kit’s case – did stretch credibility somewhat, but still, it was all very nicely done. What a wonderful, funny, quirky read! Where’d You Go, Bernadette?, by Maria Semple, takes the epistolary narrative to new heights. Made up of emails, official documents, even a hospital bill, interwoven with a bit of narrative by Bee, Bernadette’s daughter, this is a lovely novel with many twists that had me guessing right to the very end. And did I mention it’s such a funny read? I actually laughed out loud at various points in the book. I’m so glad I picked up this novel. I’d borrowed the ebook version from the library – I’d put a hold on it a while back (which means I must have read someone’s lovely review of it somewhere, but I can’t find any mention of it in my Evernote account so I obviously forgot to make a note of the review the way I normally – well, okay, sometimes – do). I had three days left before it would disappear off my iPad forever, and when I refreshed my memory as to what it was about – an epistolary narrative! a woman who outsources her life to a virtual assistant in India! (oh, and I checked the library’s site and saw there were 81 people on hold for it – I admit, that was a big motivator, knowing I would have to wait in line behind 81 people before I’d get the chance to read it again) I decided to read the first few pages just to see how I’d like it. Well, since it’s listed here as one of the page turners this week, you already know how those first few pages went. Let’s just say they flew by, and before I knew it, I was halfway through the book. I finished it with a smile, and all I can say right now is – if you haven’t read it yet, you really should give it a try. A very enjoyable, fun, quirky read. This entry was posted in Books and Reading, Reviews and tagged D.J. Donaldson, I had great fun with these, Maria Semple, medical examiner, mysteries, page turners, quirky reads, Veronica Roth, YA dystopian on July 13, 2013 by Belle Wong. I woke up from a dream that’s been driving me nuts all morning. I have very vivid dreams, and in about half of them, I’m more of an observer, watching events unfold. It can be like watching a movie, and I’ve dreamed many thrilling, blockbuster movie types of dreams. But never one like the one I had this morning. One of the characters (let’s call him Bob, just to give him a handle, although he was utterly nameless in my dream) was a detective. And he was investigating the murder of someone. The murder took place in a room filled with about ten people. The room looked like the library in an English manor house. And of course, none of the people saw a thing. 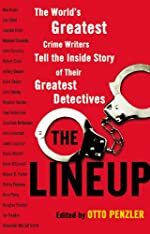 Bob suddenly finds himself back in the same room where the victim died, among the same crowd of people, attending the same kind of cocktail event in which the first victim died. And he’s peering down at the spot where the victim met his end, and suddenly I see his expression change. Something’s flashed through his mind. He knows something! And then BAM! He’s murdered too. Enter detective no. 2. Let’s call him Lawrence. (He too was nameless in the dream. In fact, everyone was nameless.) Lawrence is now in charge of investigating both murders. He spends some time peering at Bob’s lifeless body, then there’s a fizzy bit (which felt absolutely normal in the dream) and suddenly, just like Bob, he’s back in the room, and it’s filled once again with the same group of people. And Lawrence is standing where Bob was, examining the spot where both victims died, and I see the same flash of sudden understanding in his face. I mean, I’m prickly all over with his knowledge – except that I don’t know what that sudden knowledge is! Lawrence straightens up, and my attention is drawn to this auburn-haired woman standing at the other end of the room. So frustrating! Since the dream presented me with no information about motive, or even the identity of the first victim, there’s very little to go on. No forensics evidence – I don’t even know how the victims died. All I know is that the auburn-haired woman is (maybe) the culprit, but I don’t know how she did it. The questions! What did both Bob and Lawrence see? How did Lawrence know it was the auborn-haired woman? Was it even the auborn-haired woman? And if it was, how did she kill both men in that room, in front of all those people? I angsted over this all morning and the only thing I could come up with was the not-very-credible idea of a golden hairpin that shoots self-dissolving micro darts filled with a deadly poison. Which might have worked if 007 had been involved in the dream, but Bond was nowhere in sight. No, this one was a classic kind of mystery story. I think maybe it’s a sign that I’ve been reading way too many mysteries lately. Any ideas, anyone? And have you ever had a mystery dream, either with or without the solution? This is my first. Despite the frustration of not knowing whodunnit, I did quite enjoy it! This entry was posted in Books and Reading and tagged dreams, mysteries on August 22, 2012 by Belle Wong. 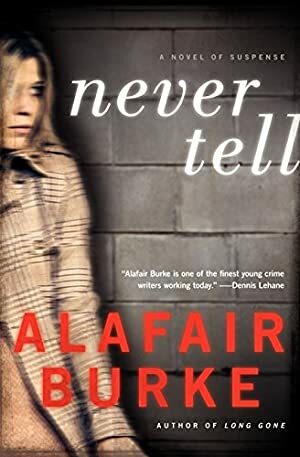 Never Tell, the latest book in the Ellie Hatcher series, starts out in a mild way (for a mystery, that is): sixteen-year-old rich girl Julia Whitmire is found dead in her bathtub, suicide note nearby. 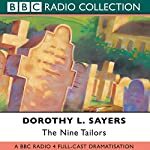 Ellie Hatcher arrives on the scene and is convinced it’s a suicide, but this pronouncement is not acceptable to the wealthy and powerful Whitmires, who use their influence to assert pressure on the police to continue the investigation into their daughter’s death. As Ellie is pressured to investigate further, she discovers Julia may have been engaging in some serious cyberbullying. Things take a mysterious turn when the target of the cyberbullying continues receiving death threats. Was Julia the cyberbully? If she was, who’s taken over now? Did she commit suicide, or was she murdered? I find Ellie Hatcher to be such a refreshing character. Burke has created a strong female protagonist, one who is memorable without being at all gimmicky. Ellie is fully fleshed, and as a reader you find yourself pulled into both her personal and professional lives. After I read 212 last year, I kept meaning to add more of the Ellie Hatcher series to my TBR stack. I was very pleased when Trish Collins from TLC asked if I’d like to join in the blog tour; even though I haven’t participated in a book blog tour in a very long time, I didn’t hesitate to accept. And when Never Tell arrived, I read it right away, all in one sitting; I stayed up late into the night reading because I absolutely had to know what happened. I loved the very intricate plotting – to me, such complexity combined with an interesting protagonist always proves to be a rewarding read. Never Tell definitely didn’t disappoint. You can find out more about Alafair Burke at her website, on her Facebook page and on Twitter. She recently hosted the second annual Duffer awards, a zany “competition” that pits series characters in the mystery and thriller genres against each other in crazy categories like “Most Likely to Take Down a TSA Agent” (Barry Eisler’s John Rain won that one, beating out Joseph Finder’s Nick Heller) and “Least Likely to be Fazed by Autopsy of Disemboweled Body” (Tess Gerritsen’s Maura Isles beat Jonathan Hayes’s Edward Jenner by a mile). This entry was posted in Blogging and Blog Events, Books and Reading, Reviews and tagged Alafair Burke, female detective series, mysteries on July 4, 2012 by Belle Wong.